Lester Sylvester Roberson, Jr., 75, of Salisbury, passed away Saturday, January 19, 2019, at the North Carolina State Veterans Home in Salisbury. Mr. Roberson was born on June 10, 1943, in Rowan County. 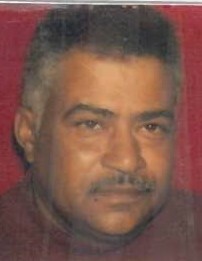 He was the son of the late Lester Sylvester Roberson, Sr. and the late Mary Ruth Houston Roberson. 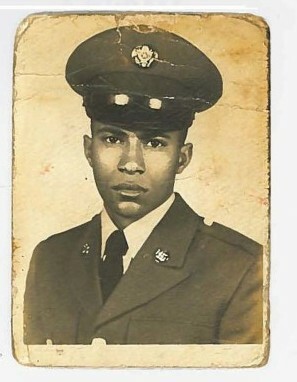 Lester was a graduate of Dunbar High School in East Spencer, served his country faithfully in the US Army, 82nd Airborne, he was a member of New Hope AME Zion Church, and worked as a heavy equipment specialist operator in the construction business. In addition to his parents, he was preceded in death by his sisters, Gloria Ruth Roberson, and Marilyn Denise Roberson. Survivors include his sons; Timothy S. Roberson, Lewisville, NC, Christopher M. Roberson, Granite Quarry, NC; daughters, Valerie Robinson (Michael), Salisbury, NC, Ruth A. Roberson, Portsmouth, VA, Cynthia R. Nunn (Eugene), Salisbury, NC, brothers; Ronald K. Roberson (Osheatia), Granite Quarry, NC, Harvey D. Roberson, Salisbury, NC, Donald O. Roberson (Charlene), Jacksonville, FL, sisters; Sylvia R. Warren (Larry) and Elaine Roberts both of Salisbury, NC, Rev. Margaret R. Anderson (Derrick), Charlotte, NC and Rev. Rosemary R. Newman (Richard), Chicago, 14 grandchildren, and 9 great-grandchild, aunts, Clara Graham, Myrl Thomas, and Pearl Houston, uncle, Bobby Houston and a host of other relatives. Service: 1:00 PM Friday, January 25, 2019, at the Salisbury National Cemetery, 501 Statesville Blvd., Salisbury, NC 28144, with the Rev. Dr. Derrick R. Anderson officiating. Military Honors will be conducted by the Lyerly Volunteer Honor Guard. Lyerly Funeral Home is serving the Roberson family. Online condolences may be made at www.lyerlyfuneralhome.com.